In 2017 SANZAAR bowed to pressure from its stable of broadcast partners who, fed up with too many uncompetitive matches, forced a reduction from 18 teams to 15. 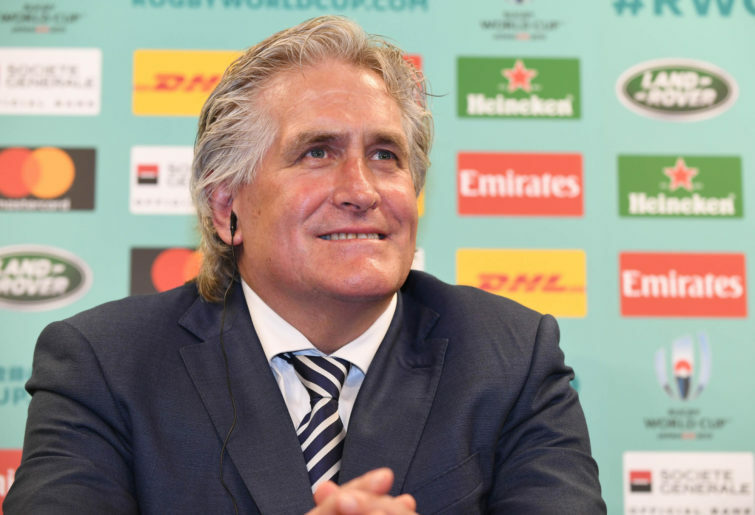 The move allowed South Africa to establish a beachhead in the UK, Australia to compress its professional playing group from five teams into four, and Andrew Forrest to step in to provide Perth fans with rugby, along with the promise of a new competition to follow. All of them benefits of a kind, but nothing to compare to the core reason for the reversion to 15 teams, which was to even up the competition, provide more matches where the result wasn’t a foregone conclusion, and to spice up the viewing experience. Seven matches into the 2019 season, the Crusaders top the table on 24 points, with the other notional finalists compressed between the second-placed Hurricanes on 19 points, and the Waratahs on 15 points. Last place is shared by the Jaguares and Sunwolves on 10 points, both potentially only a bonus point win out of the finals race as it currently stands. If the topsy-turvy nature of the results has made tipping a nightmare, and fans have become increasingly frustrated at their side’s inability to string consistent performances together, there can be no doubt that the competition is more even – and more compelling – than in any recent year. It is true that coaches resting and rotating their best players to help out their international coaches in a World Cup year is a factor. 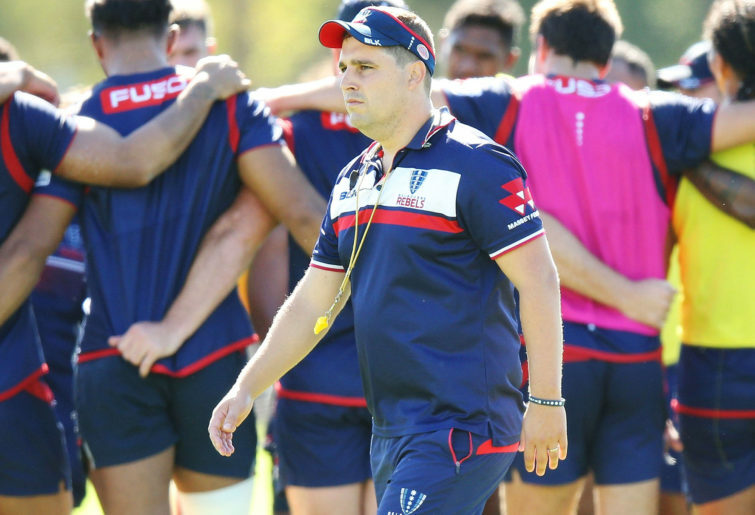 But as Daryl Gibson explained after his Waratahs suffered a shock 31-29 loss to the Sunwolves, it’s something that all the coaches have signed on to willingly, and is something that they are all doing. Indeed, it has been fascinating to observe the different strategies around player management; some coaches electing to make incremental changes from week to week, so as to try to maintain continuity, while others target certain matches, like the Rebels’ Dave Wessels, who elected to send four leading players home early from South Africa, in order to have them ready and firing in Brisbane. It all resembles Formula One bosses deciding on their re-fuelling and tyre-change strategy. Indeed, Gibson’s own rotation philosophy was tested and found wanting on Friday night, when, in providing playmaker Bernard Foley with a rare rest, he in turn discovered his replacement, Mack Mason, to be wanting at this level. Also found wanting was a Test star who Gibson didn’t rest, Kurtley Beale, who made not one but two feeble tackle attempts in the lead-up to Grant Hattingh’s first-half try. Hard to pin that one on team selection. As we have been repeating, professional rugby these days is a squad game. Not 15, not 23, but a 35-38 man affair, where big-name Test players can no longer be relied upon or expected to dictate results on a weekly basis. The Crusaders unveiled one of their squad players on Friday night, Keiran Read blowing hard while getting through half a game before a corked leg sat him down. The game itself never quite delivered, with the Crusaders managing to keep Ardie Savea quiet, and shutting the Hurricanes out with a suffocating defensive effort to win comfortably, 32-8. Lucky to win by a point earlier in the year in Tokyo, the Waratahs could have no complaints with their two-point loss in Newcastle. Scoring four tries each, the difference was a remarkable ‘power fade’ conversion from the sideline by Hayden Parker – number 26 on a still-alive run of 27 consecutive successful goal-kicks. In Auckland, the Blues and Stormers conjured images of two amateur boxers forgetting everything their coaches told them about keeping a clear head, instead threshing about and using up all their energy and endeavour – as if they believed the winner would be the one who threw the most punches. That said, what won a highly entertaining match for the Blues – and is a sign of their increasing maturity – was their ability to maintain their defensive effort throughout. The Stormers meanwhile should lose no friends for their effort, even if their ambition to play expansively wasn’t always matched by the execution. Blues winger Tanielu Tele’a got things wrong in the 69th minute, upending a flying Dilyn Leyds and receiving a red card from referee Nick Briant. At that stage of the match, it is moot whether a card is yellow or red, but Briant seemed to go off on a tangent, swayed by the spectacular footage in advising Tele’a that he had caused Leyds to land “really dangerously”. “Really dangerously” isn’t a term that appears in the law book. The sanction is determined as to whether the fouled player lands on his head or neck (red card) or shoulder or back (yellow card). As ugly as it looked, in this instance, Tele’a got the wrong coloured card. There was a ridiculous amount of focus on Quade Cooper and Brad Thorn before, during and after Saturday night’s match in Brisbane, but better value was to be found enjoying how the Rebels’ forward pack took on the Reds and came away convincing winners. The Rebels’ scrum was solid, their lineout dominant, and their loose forwards more abrasive and constructive, in what was a dominant 32-13 win. If there was one minor quibble, Cooper and Will Genia both overdid the speculative little kick in the red zone, which resulted in possession being given away four times in the first half alone, when ball retention and maintaining pressure might have yielded better results. It would be interesting to know what Scott Johnson made of the impressive Luke Jones at number six, while a rested Adam Coleman looked back to his assertive best – although they were just two of a very good pack on the night. Jack Maddocks was another to enjoy a fine match, pulling off a fair impression of Israel Folau for his first try, and having the nous to ensure he stayed onside behind Cooper, before chasing through for his second. There was more boxing on offer in Durban, with Schalk Brits and Akke van der Merwe settling their differences the old fashioned way, before referee Mike Fraser – who was in a humourless mood all game – sent them off to reflect on how they might better channel their aggression in the future. If the best moment of the weekend was Parker’s miraculous conversion on Friday night, a close-run second was the picture that emerged post-match, of the two combatant hookers sharing a beer in the changing sheds – no doubt while promising to provide each other with a character reference for their upcoming judiciary hearings. This match was a tipping raffle beforehand, and so it proved throughout the game, with the Bulls squeaking home 19-16 courtesy of a late Handre Pollard penalty. Three points was the margin too in Buenos Aries, with the Jaguares impressively overcoming a 14-point deficit, only to let the Chiefs back in to sneak a late 30-27 win. The final try came with only one minute left, replacement No.8 Taleni Seu calmly controlling a bobbling ball at the back of a scrum, before detaching and freeing an arm to send halfback Te Toiroa Tahuriorangi over. For a side at death’s door three weeks ago, to notch two wins on tour is an impressive achievement – particularly with coach Dave Rennie rolling the ‘rest and rotation dice’ and leaving his best player, Brodie Retallick, out of this match. And for a side looking to have their best season in Super Rugby three weeks ago, the Jaguares, now find themselves at the foot of the ladder, not quite sure how they got there. There is comfort in knowing that the close nature of this competition means that they (and every side) still has ample time to determine their own destiny. A couple of wins on the trot – something that all teams are capable of – completely changes the complexion of their season and potentially, the whole competition. That is something that the broadcasters, and SANZAAR, viz-a-viz their 2017 decision, must be slapping each other on the back for, in vindication. Lord knows they’re not accustomed to receiving slaps on the back from anyone else! With that in mind, it is time to roll out a ‘brave’ early prediction for the make-up of finals. I think the Crusaders will make it. As for the rest, you can have fun sorting that out for yourselves.